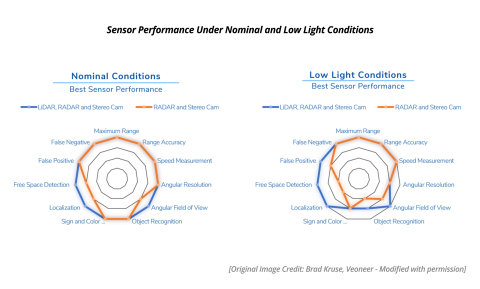 The Velodyne Lidar-sponsored white paper, called “A Safety-first Approach to Developing and Marketing Driver Assistance Technology,” can be downloaded here. Velodyne provides the smartest, most powerful lidar solutions for autonomy and driver assistance. Founded in 1983 and headquartered in San Jose, Calif., Velodyne is known worldwide for its portfolio of breakthrough lidar sensor technologies. In 2005, Velodyne’s Founder and CEO, David Hall, invented real-time surround view lidar systems, revolutionizing perception and autonomy for automotive, new mobility, mapping, robotics, and security. Velodyne’s high-performance product line includes a broad range of sensing solutions, including the cost-effective Puck™, the versatile Ultra Puck™, the perfect for L4-L5 autonomy Alpha Puck™, the ultra-wide angle VelaDome™, the ADAS-optimized Velarray™, and the groundbreaking software for driver assistance, Vella™. To learn more about lidar, please visit https://velodynelidar.com/lidar-101.html. A Frost & Sullivan white paper calls for clearer marketing of vehicle autonomy and driver assistance for safety.